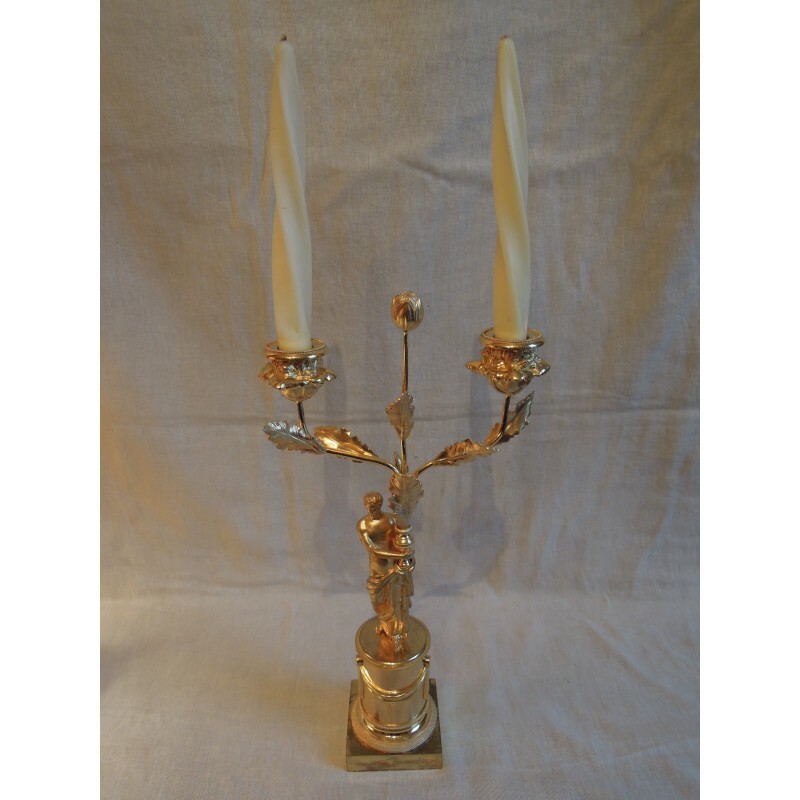 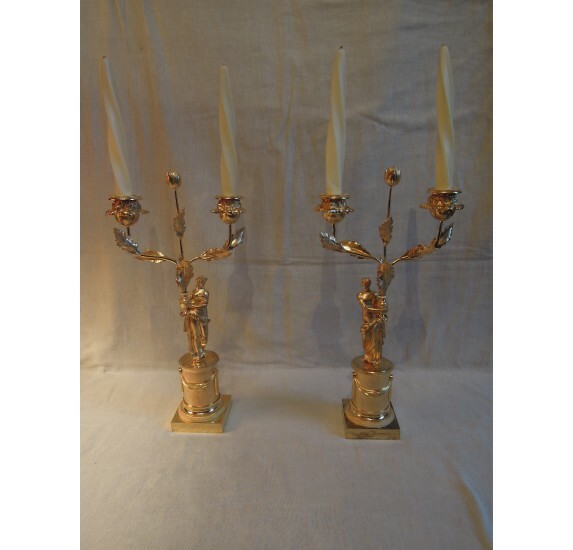 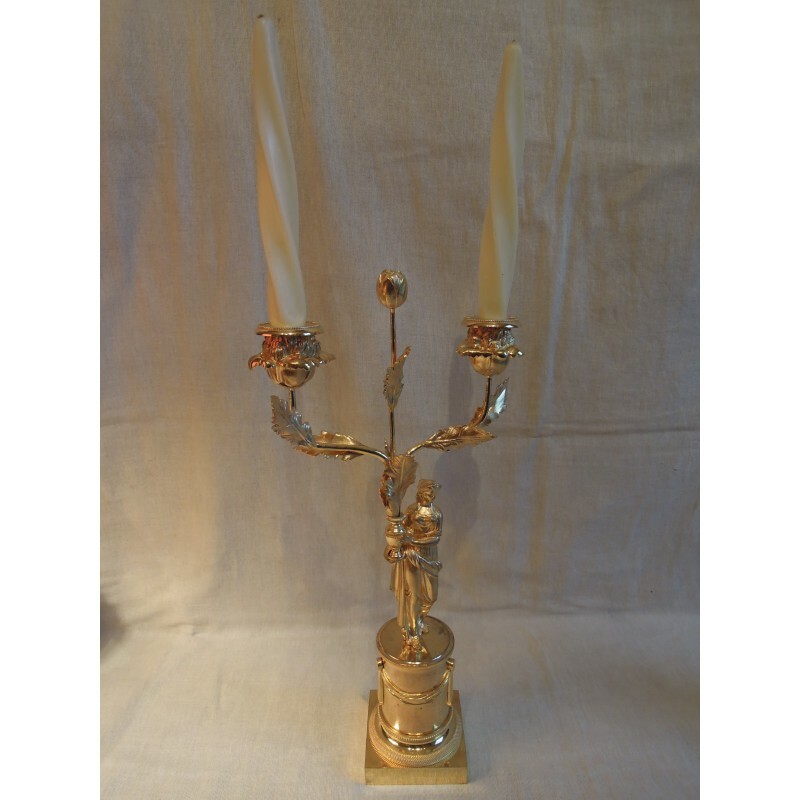 Elegant pair of candelabra with two foliaged branches, outgoing from two urns. 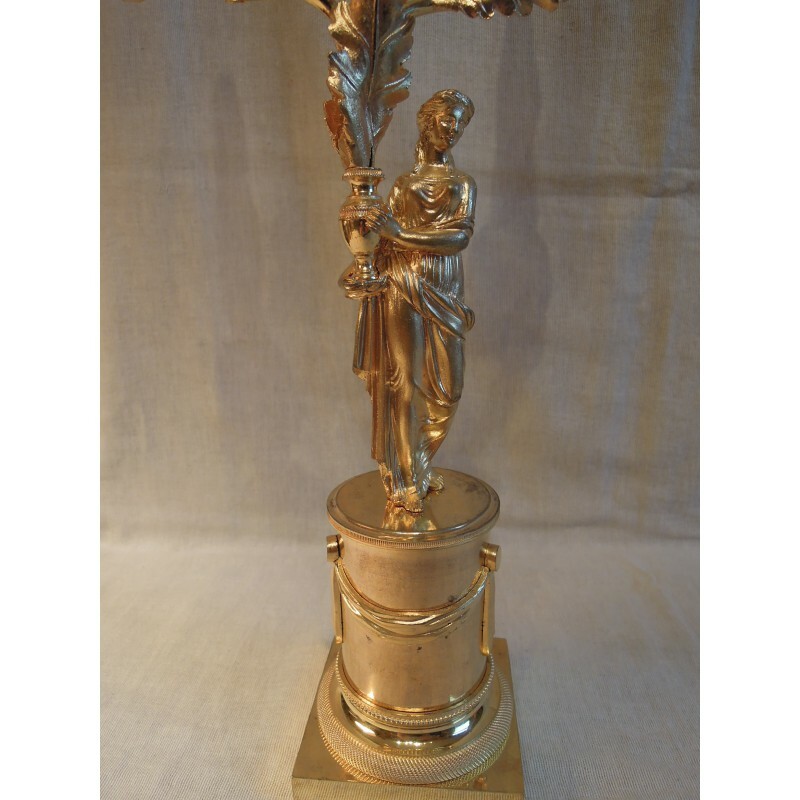 One of those urns is hold by a woman draped in antique and a man standing on a drapery décor column holds the other one. 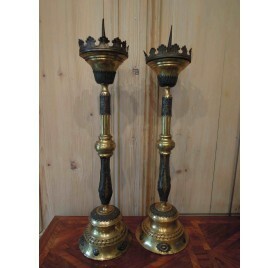 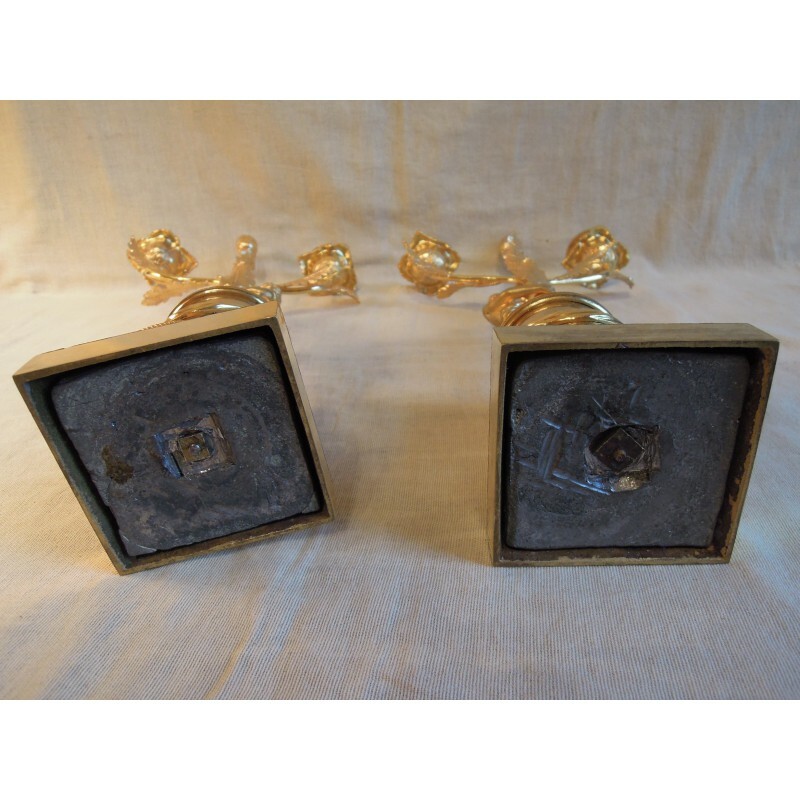 These candlesticks are both based on a square base. 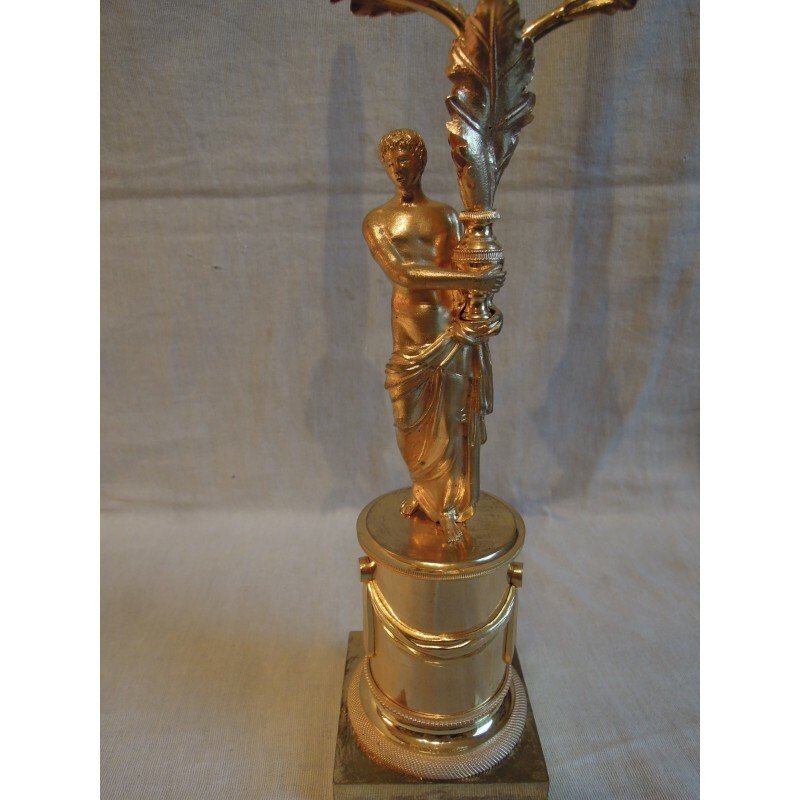 Work of Directoire period (1st third of 19th century).